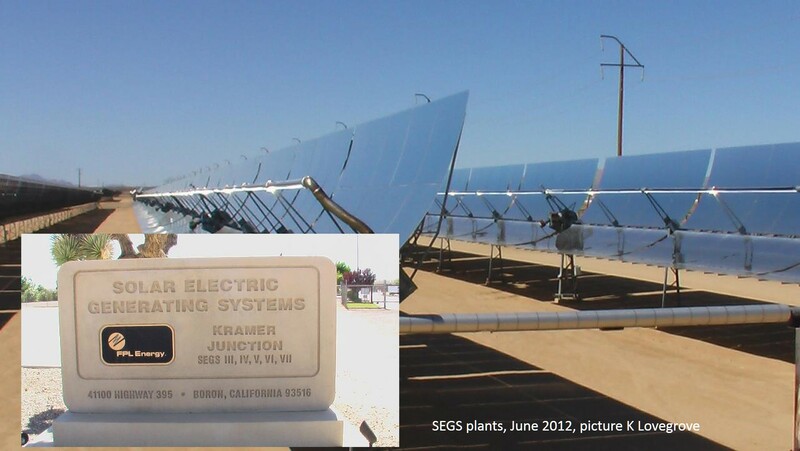 The ‘Californian Solar Energy Generating Systems’ (SEGS) are actually 9 different plants, all based on parabolic troughs, with a total combined capacity of 354MW. They were the first ever serious utility scale CSP systems and have been generating continuously for over 25 years. 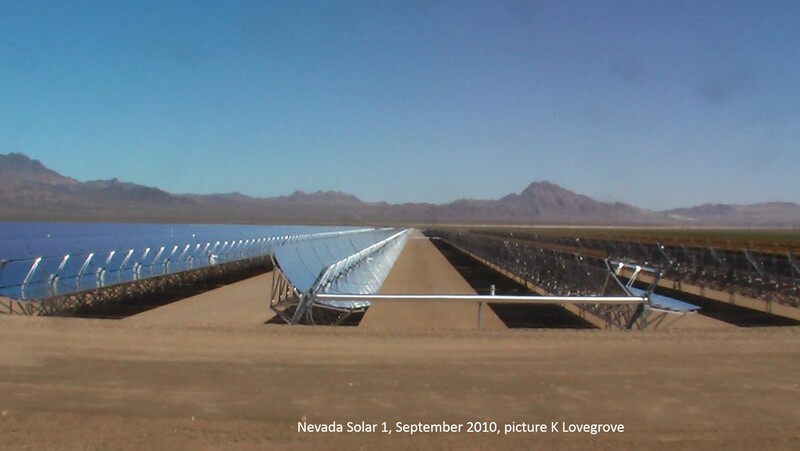 Nevada Solar 1, a 64MW trough plant near Las Vegas, was the first CSP plant built since the SEGS plants. Although not significantly different to the eraly plants, it marked the start of a renaissance for the industry that began in 2006. The Andasol plants (I, II and II) were among many trough plants built in Spain. They all have a capacity of 50MW to be compliant with the rules of the Spanish Feed In Tariff on offer at the time. 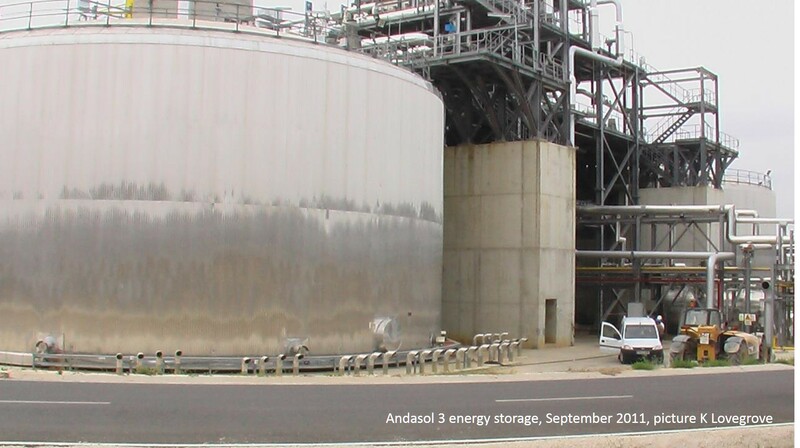 The historical significance of the Andasol plants, particularly number I, is that they were the first utility scale plants to incorporate molten salt based thermal energy storage (with sufficient for 7.5 hours full load operation). 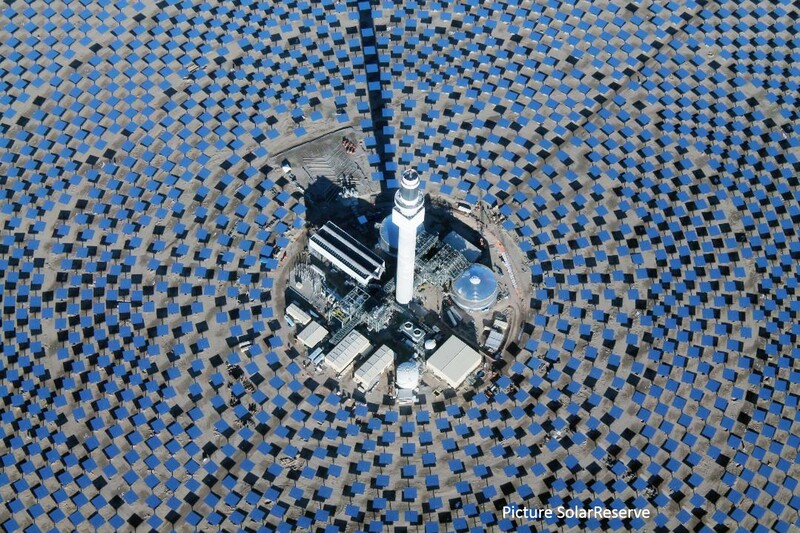 The Gemasolar 19MW tower plant was the first commercial tower system to use molten salt energy storage. The salt is heated directly in the receiver to temperatures close to 600 Degrees C. Gemasolar boasts storage for 15 hours continuous full load operation and in 2013 achieved 36 days of continuous 24 hours per day full load generation. 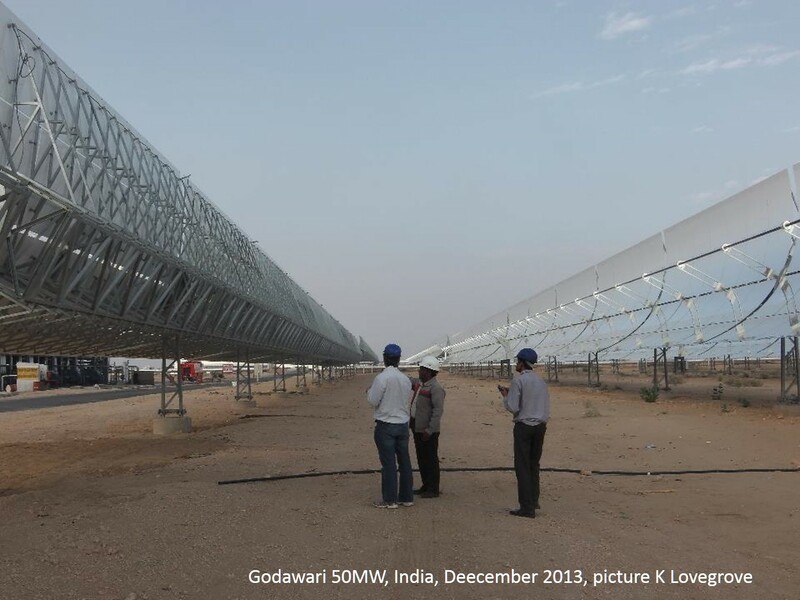 The first completed CSP plant in India. It shows that CSP can be done in that country and despite some business problems with other projects, the potential for a significant fraction of the National Solar Mission target of 20GW by 2022 to be provided by CSP is real. 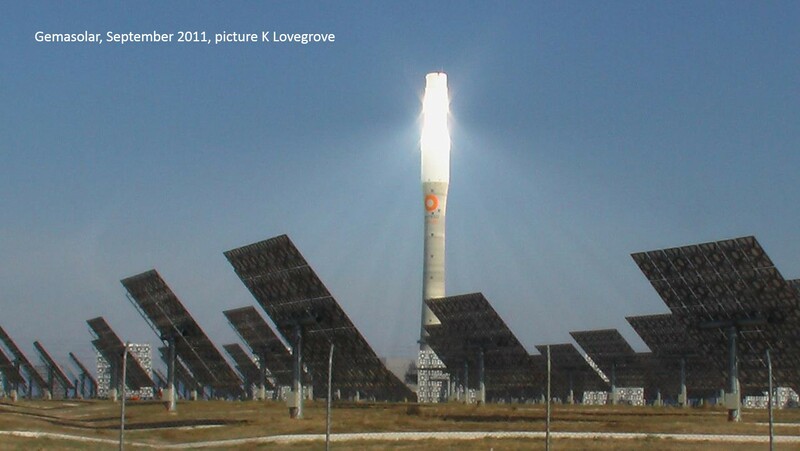 At 110MW with 10 Hours storage, it is currently the biggest single heliostat field plus tower system ever. It has been operational since early 2016.